Plaid and pinstripes, marshmallows and celery, ketchup and fish—all pairs that famously clash. 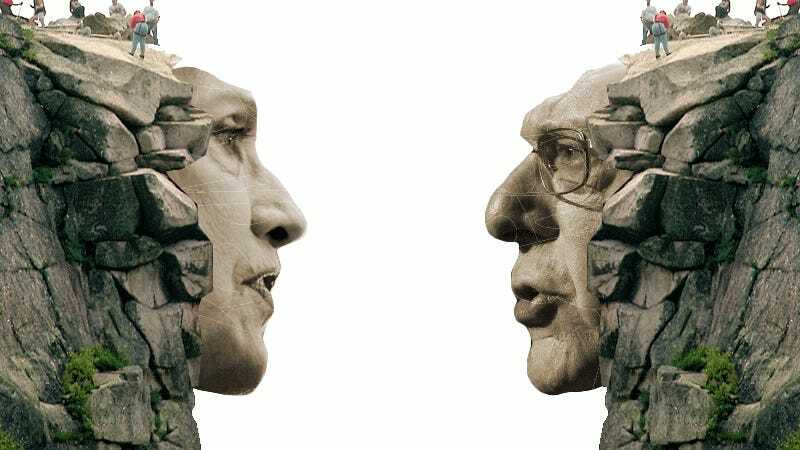 Hillary Clinton and Bernie Sanders also famously clash, but not because of how they taste, because of their words and ideas. Joanna and Ellie have traveled all the way to the University of New Hampshire’s Holloway Hall to sit in the press room and watch them clash from close up. We know what you’re thinking: haven’t we seen this movie 100 times already? The answer is yes, only this time, they won’t have to whisper fight in front of the baby (Martin O’Malley). This time, we hope they real fight!!! Contact the authors at joanna@jezebel.com and ellie@jezebel.com.